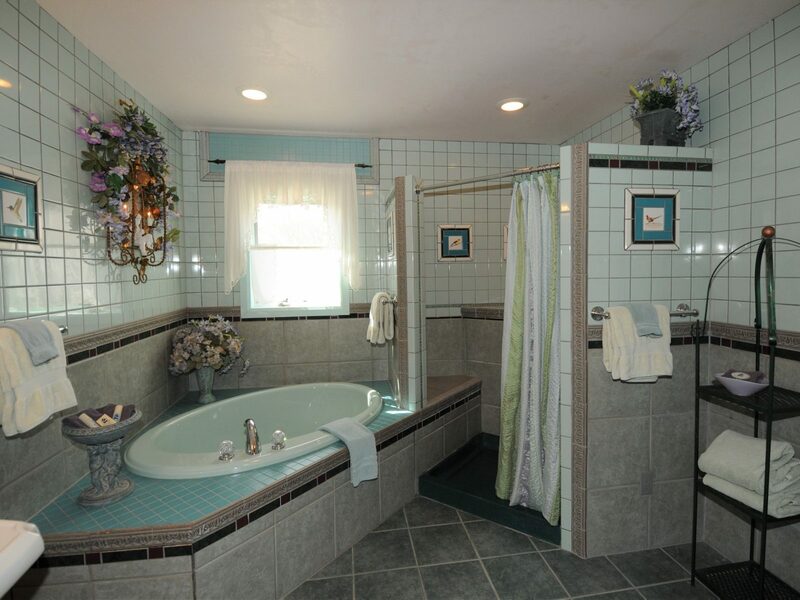 Location Type : Walking distance to shops, restaurants, etc. 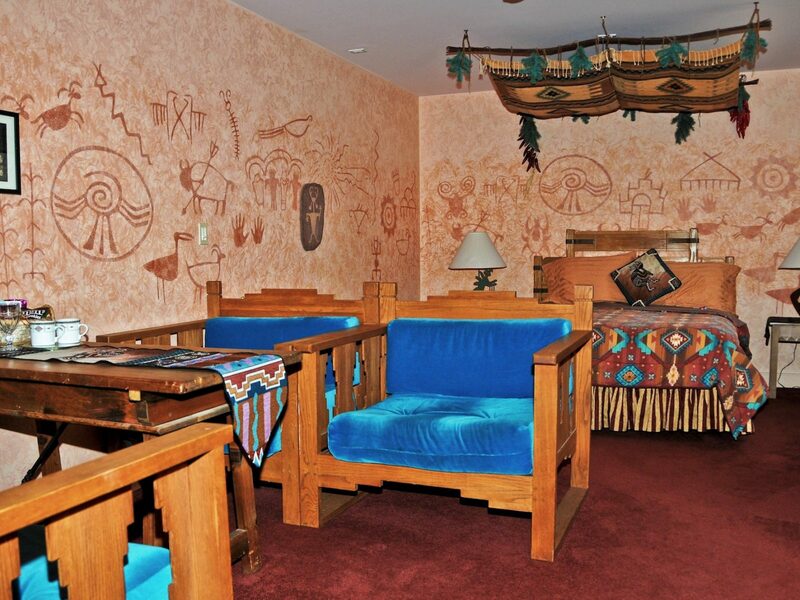 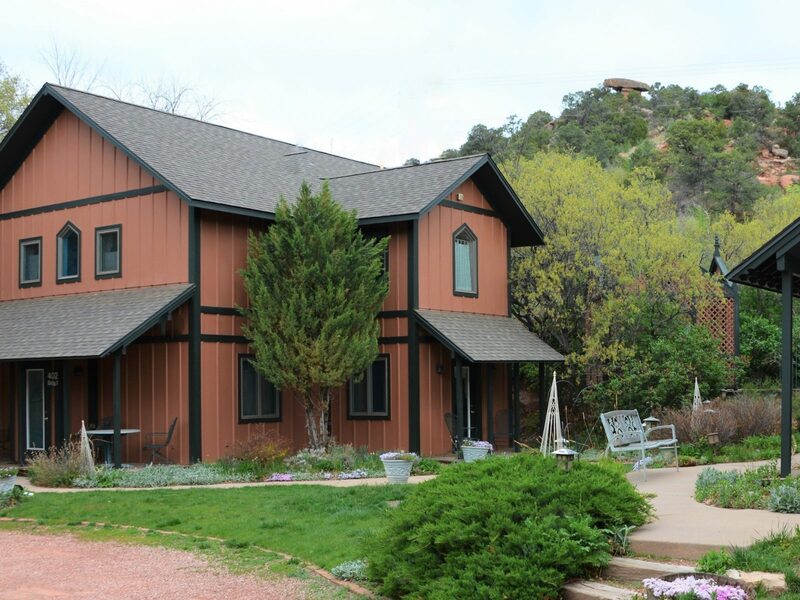 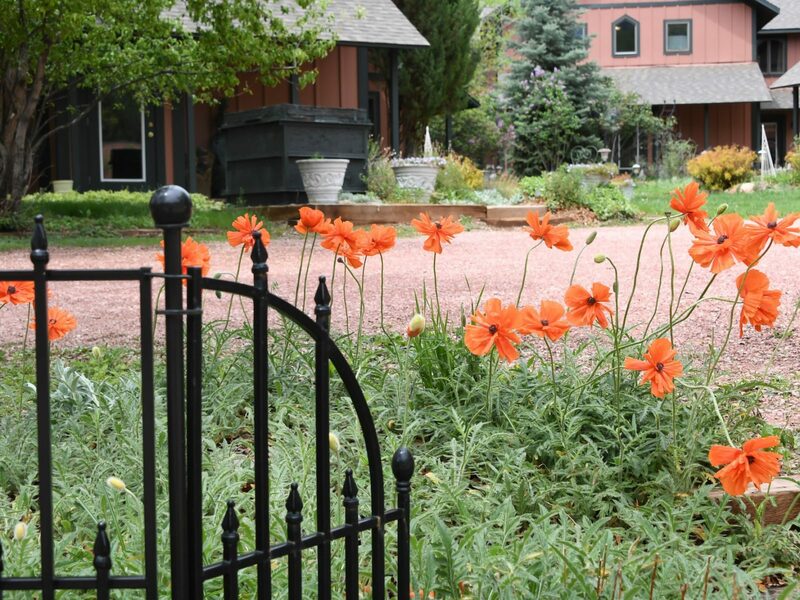 Blue Skies Inn is a quiet, shady refuge with a lively year-round stream, surrounded by mountain hillsides of trees near Pikes Peak. 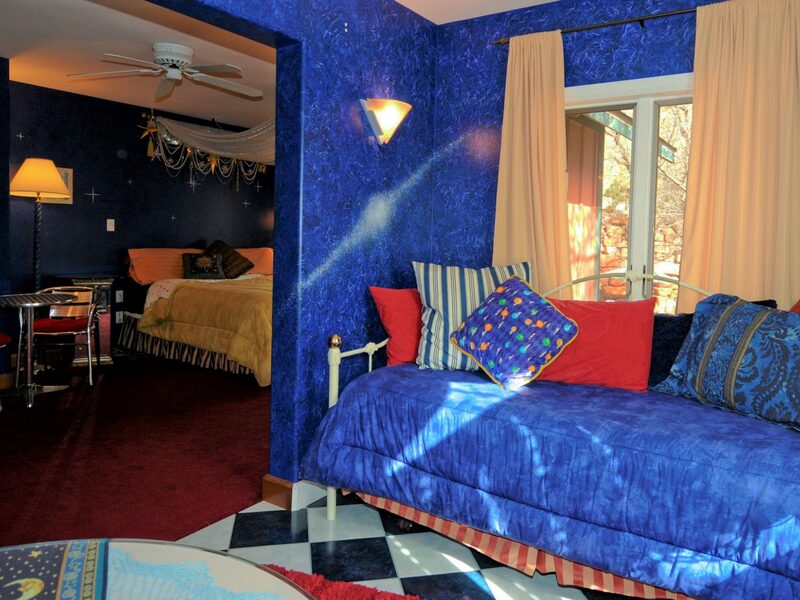 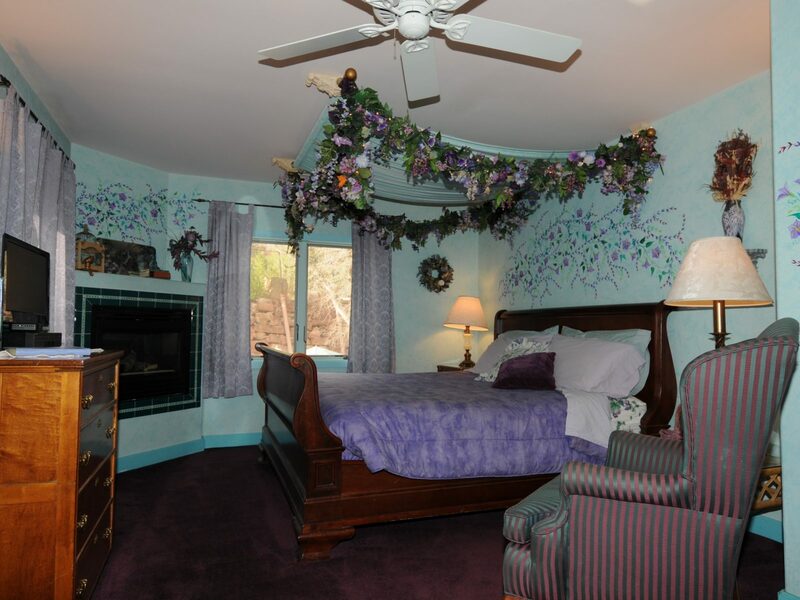 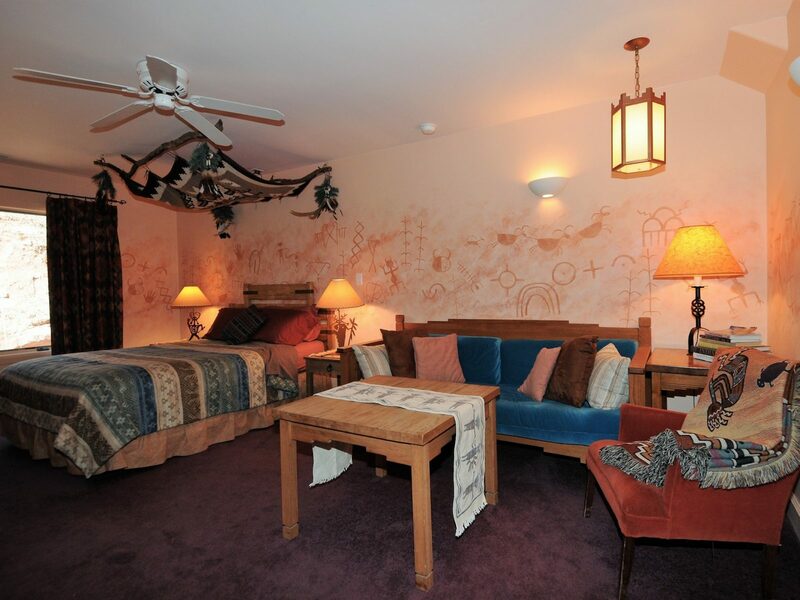 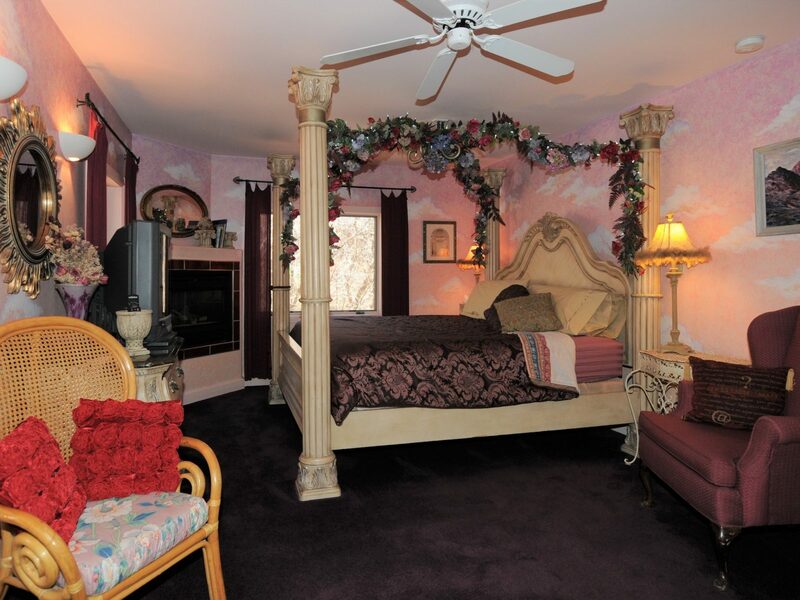 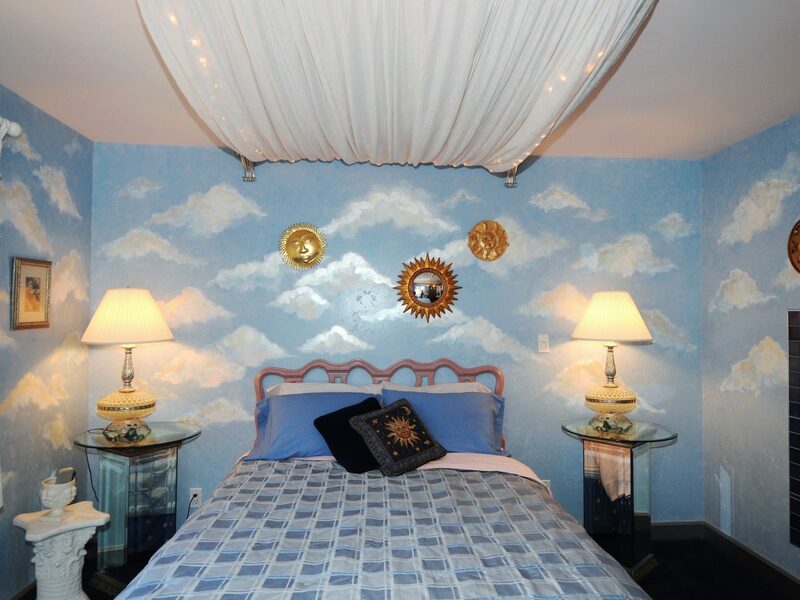 Our quaint village of Gothic Revival architecture presents ten unique 3-room suites creatively painted by a Colorado artist. 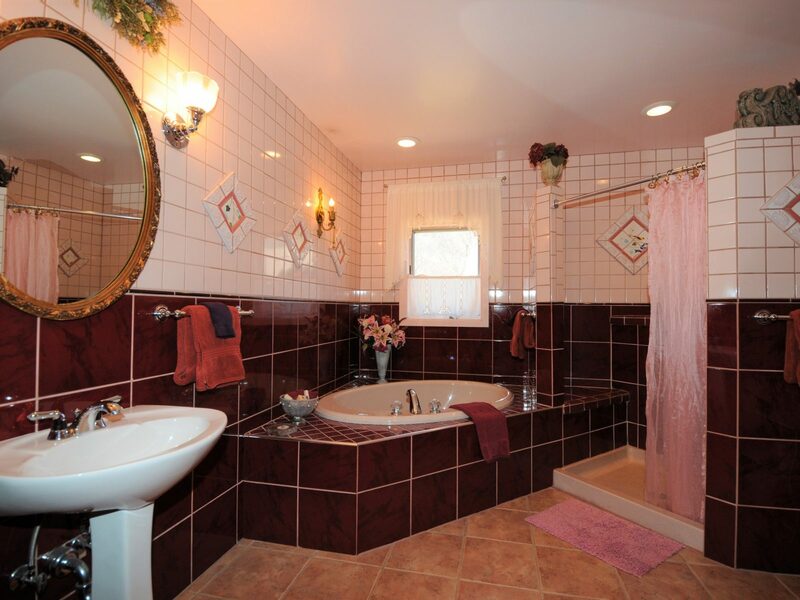 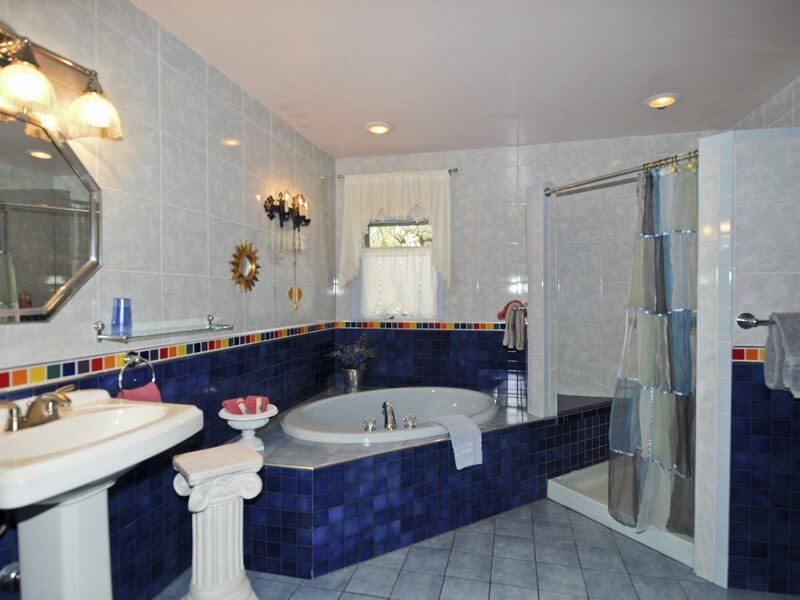 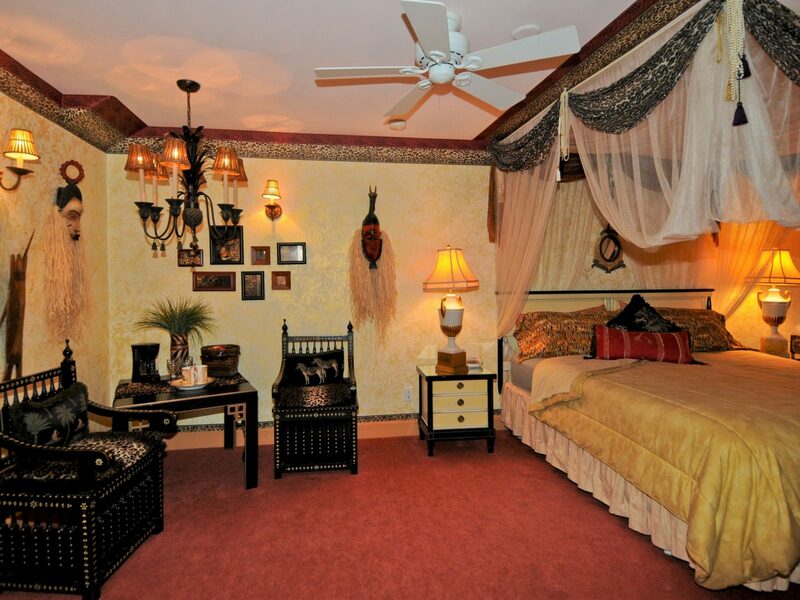 Luxurious tiled bathrooms with large tubs and enormous showers are featured. 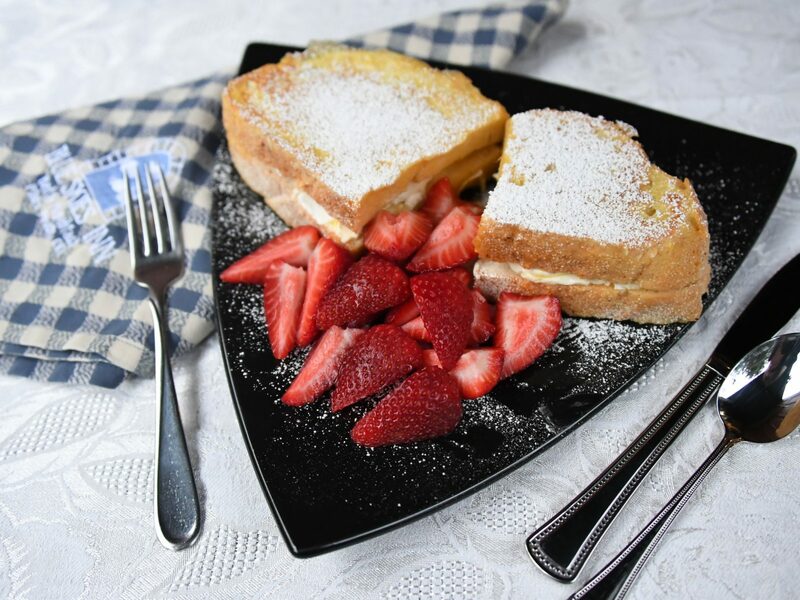 Dine in the flowering Secret Garden while listening to our cascading waterfall, or let us deliver your hot, freshly-baked breakfast to enjoy in your sunny sitting room. 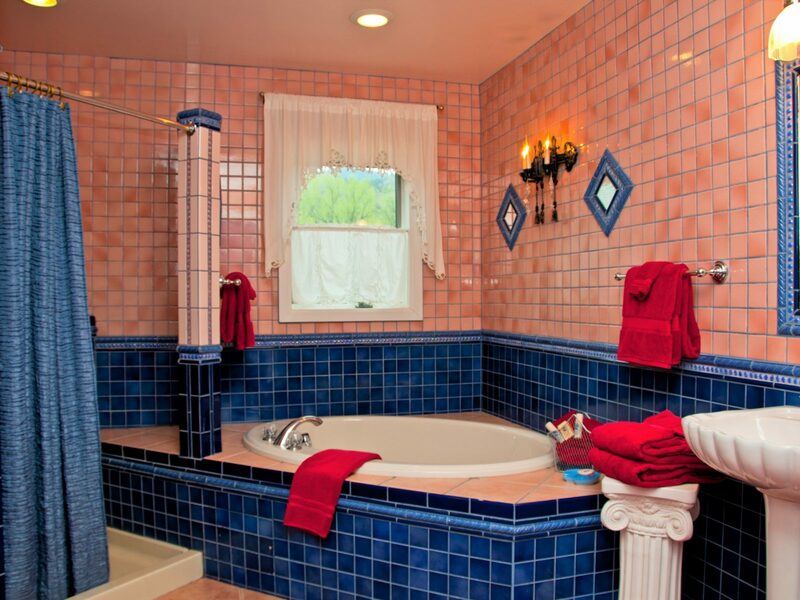 Ponder deep starlit skies while soaking in our spacious outdoor hot tub. 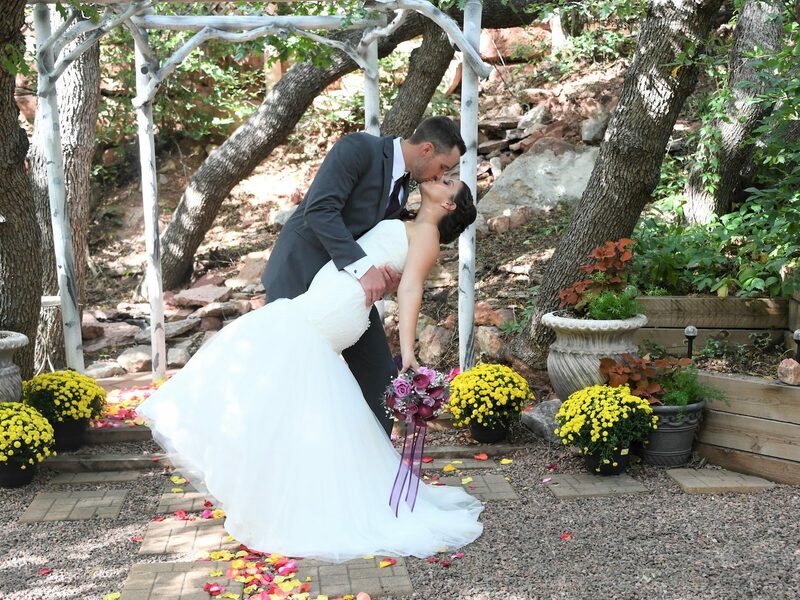 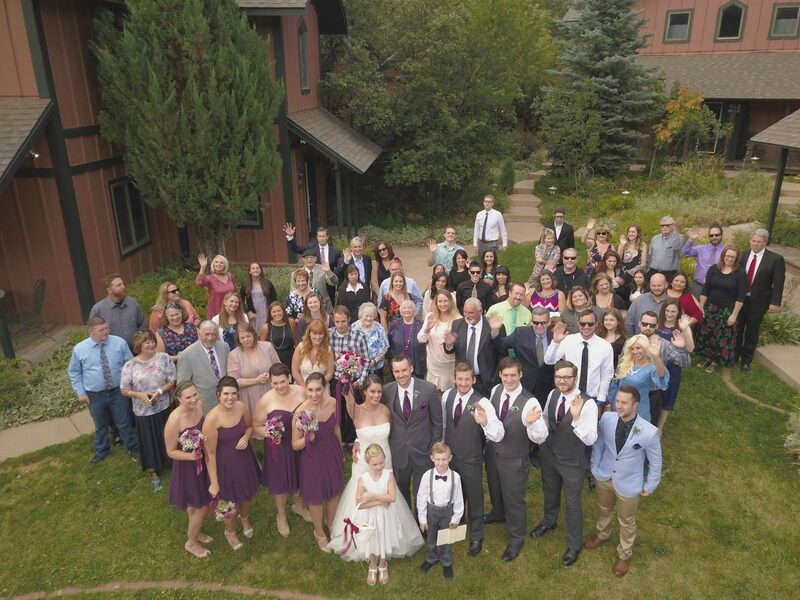 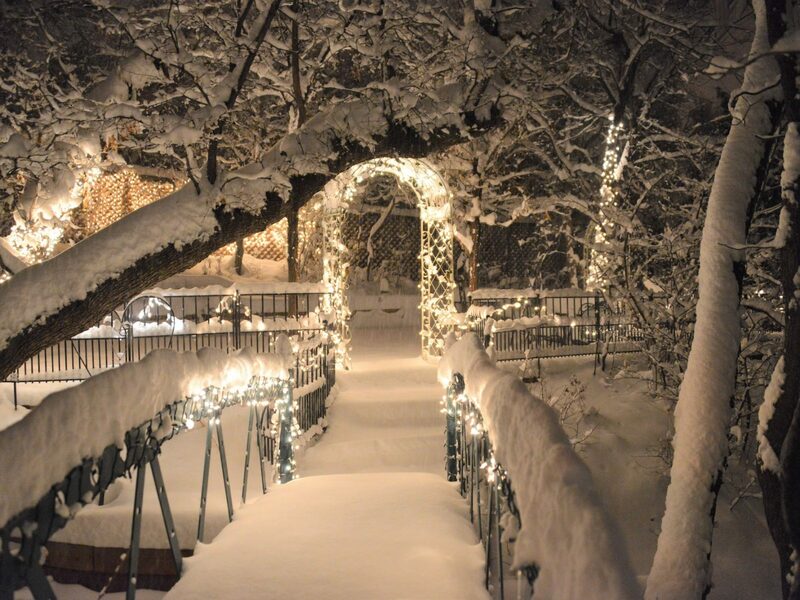 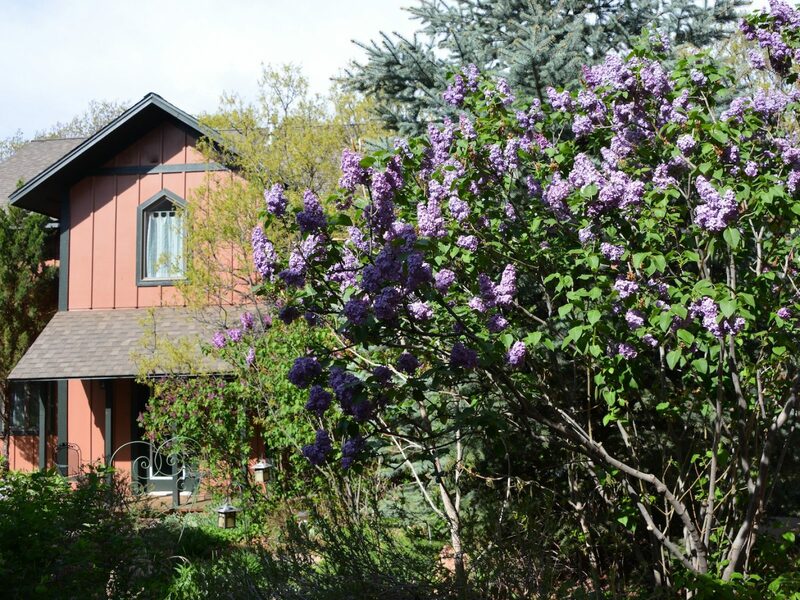 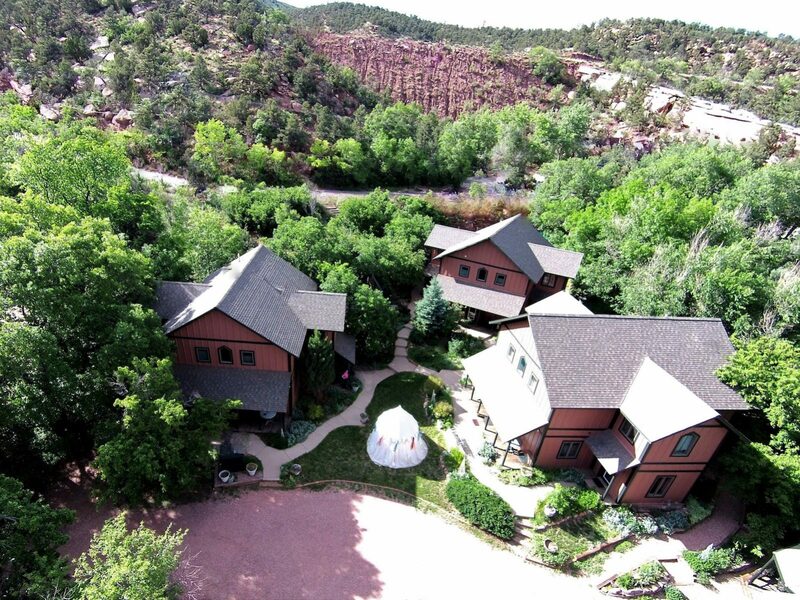 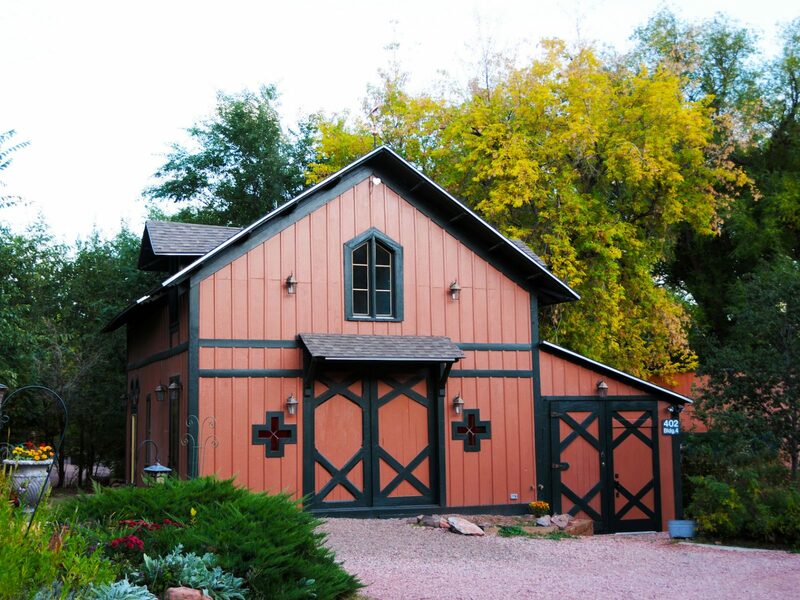 Our well-tended gardens and historic 1871 carriage house are sites of romantic Colorado weddings.